Not quite chrome, but really shiny silver. A while back I set out to compare all the different spray paints that purported to be chrome, or anything close. After the Molotow Chrome paint pen was shared by R32rennsport, the relativity of this test faded. I remembered it when working on a current resto mod, so I went back to the concept. When I first thought of doing this, there were at least 5 versions of paint sporting the “chrome” cap. Now there’s 3, and one of those is just for glass. 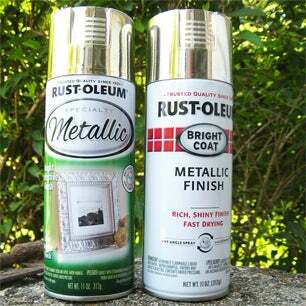 For our purposes, there were two that I could find, both by Rust-Oleum; on the left is their “Specialty Metallic” paint which promises a bright reflective finish on the can, and the regular Rust-Oleum Bright Coat Metallic Finish. I’d assumed that the specialty brand was going to come out the best, but it was not to be. I experimented with both bodies and the plastic bits. I didn’t do anything special to the pieces other than wiping them off. Most of the bodies still had their original HWs paint intact, as I was just looking for quick results. Big difference, as I expected, but not from the paint I thought it would be. The specialty metallic is more like the dull side of aluminium foil, and the “regular” Rust-Oleum was much more reflective. Both of these savaged 934.5s were still in HWs white when sprayed. Same results when spraying plastic parts, one is duller than the other. I noticed that spraying an interior piece give much more angles for reflection of light, it’s very close to a HWs chrome interior piece. This mangled Fairlady shell was the only piece that had already been stripped of paint. Again, no prep other them wiping it off with a cloth. All the imperfections in the zamac showed through one coat, but if the stripped body had been sanded/steel wooled/prepped like a car being readied for a serious paint job, this result would have been even more impressive.